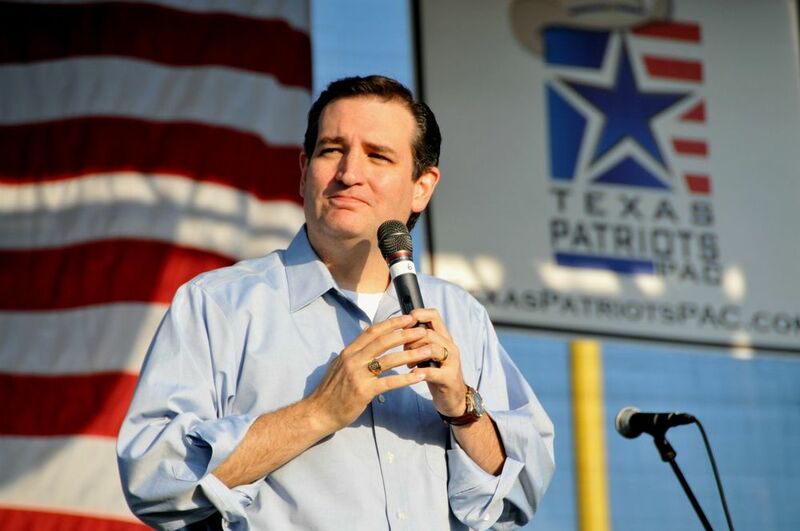 Ted Cruz speaking at our rally in Conroe during his campaign for U.S. Senate. Testifying before the State Sovereignty Committee in support of HB 1076, the "Firearms Protection Act," by Rep. Steve Toth. Our voter guides help conservatives know which candidates at the local level hold their values! The Cain-Gingrich debate, November 2011. Dan Patrick with a group of campers at our annual Vacation Liberty School. 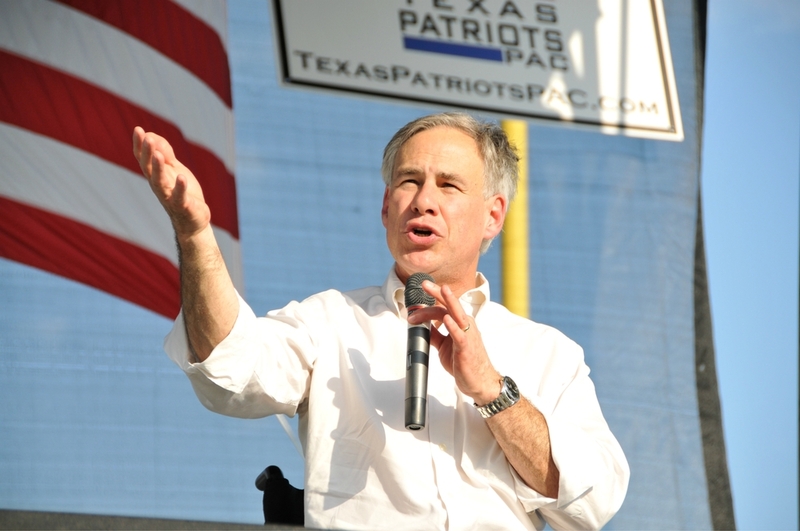 Then-Attorney General Greg Abbott speaking at our rally in Conroe during his campaign for Governor. Texas Patriots PAC President Julie Turner with then-Senator Ken Paxton during his campaign for Attorney General. Texas Patriots PAC President Julie Turner being interviewed by CBN for a story about the success of the Tea Party movement in Texas. The Woodlands Township director Gordy Bunch speaking at a Texas Patriots PAC open meeting. 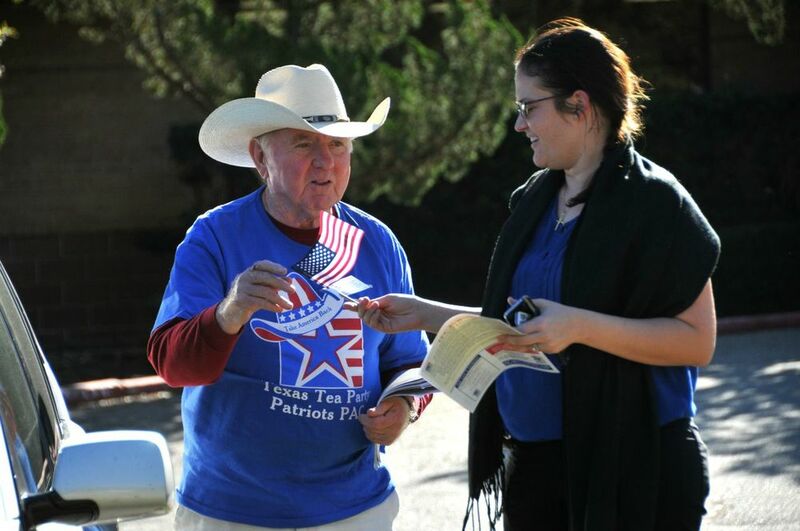 Our volunteers work hard in the parking lots of polling places during elections! Former Republican Party of Texas Chairman Steve Munisteri and Texas Patriots PAC President Julie Turner chat after one of our open meetings. 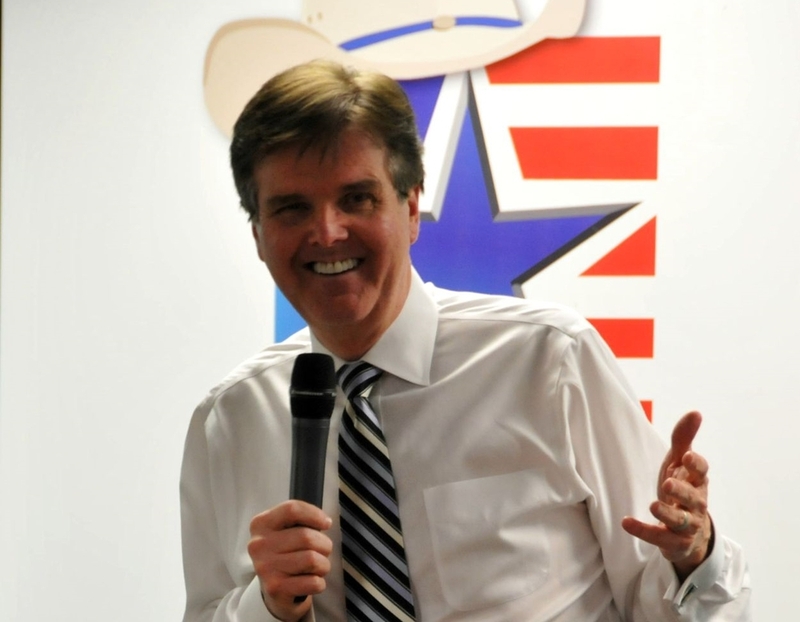 Then-Senator Dan Patrick speaking at one of our open meetings during his campaign to become Lieutenant Governor. 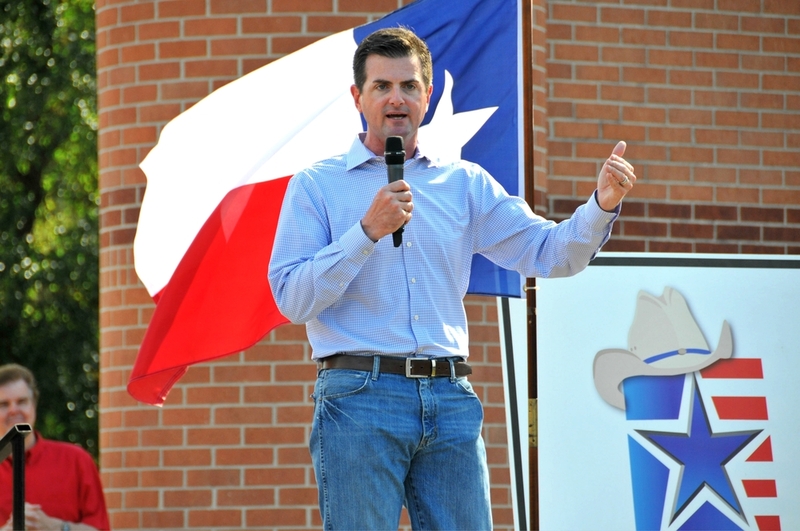 Then-Representative Brandon Creighton speaking at our rally in The Woodlands during his campaign to become State Senator. Thomas Jefferson teaches a class of campers at our annual Vacation Liberty School. Texas Patriots PAC President Julie Turner with Ted Cruz during his campaign for U.S. Senate. Texas Patriots PAC President Julie Turner chats with Greg Abbott and State Representative Steve Toth backstage at our rally in Conroe - November 2012. Then-Republican Party of Texas Chairman Steve Munisteri speaking at one of our open meetings. A class of campers learn about the Constitution at our annual Vacation Liberty School.